Through our existing Inspection and Design framework with ENWL, LSTC secured additional works to provide a Pole Top Camera Inspection Service, on varying circuits throughout the ENWL regions. 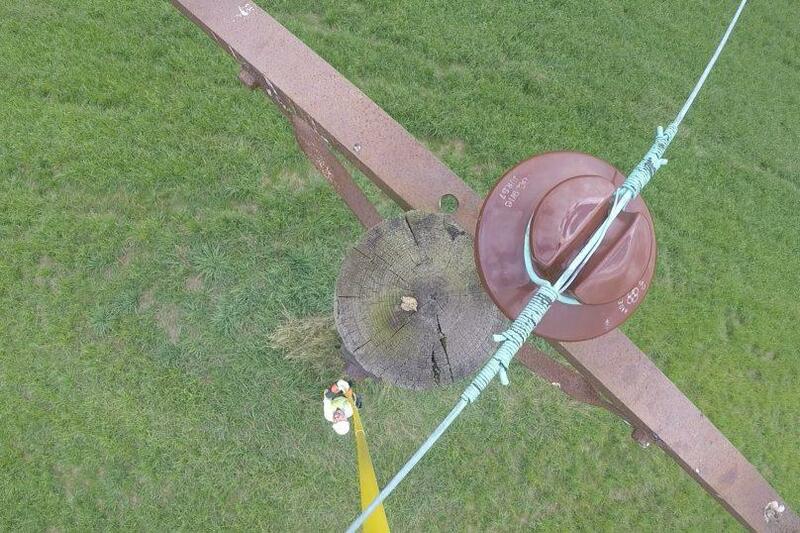 The project itself was to visit and inspect circa 8,000 known wood pole assets that had been previously recorded as “suspected pole top decay” or the asset was reported to be over 45 years old. Following the award of the additional works, LSTC issued all inspection resources with the relevant training and equipment to assess the pole top condition of wood poles. As this service involves live working techniques, the safety of the inspection resource was paramount, and the appropriate equipment was sourced. The camera system was carefully chosen, trialed and tested before being approved by ENWL. Due to the volumes there was a need to assess the pole top condition on site to avoid timely post analysis. This on-site decision making improved the efficiency of the project, reducing the resources required, which was reflected in the fees. To provide acceptable condition assessment imagery in the most efficient way and to enable the condition rating of the pole top to be assessed with safety and quality in mind. Programme delivery on a circuit by circuit basis. Quality aerial imagery for post inspection audits. Accurate assessment supporting pole replacement studies. Other concerning asset defects and faults identified and reported.